Professor Kelly Lytle Hernandez and Million Dollar Hoods will be honored by the Los Angeles Community Action Network with a Freedom Now Award for their groundbreaking digital mapping project that uses police data to monitor incarceration costs in Los Angeles. 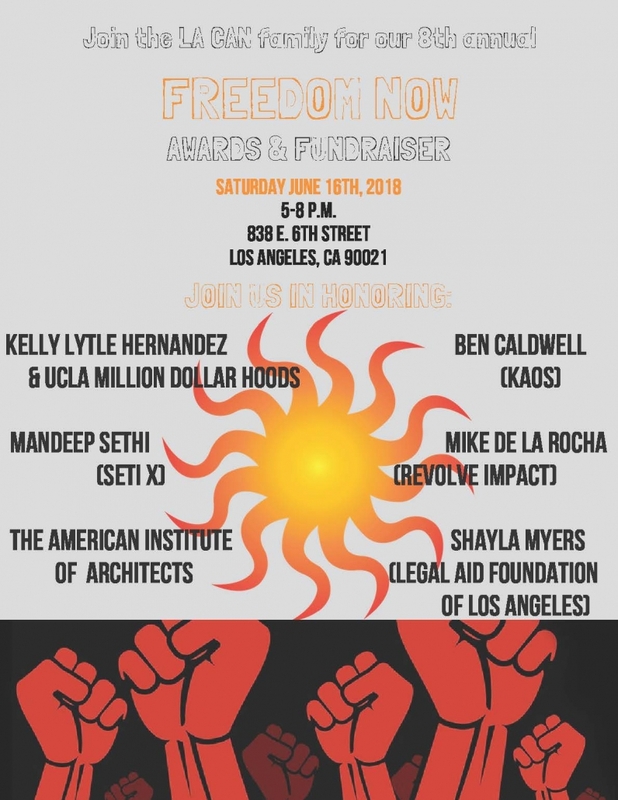 The 8th Annual “Freedom Now” Awards and Celebration will take place on June 16, 2018 from 5:00 p.m. to 8:00 p.m. at 838 E. 6th Street, Los Angeles, CA 90021. Do Legislative Bills Build Housing?